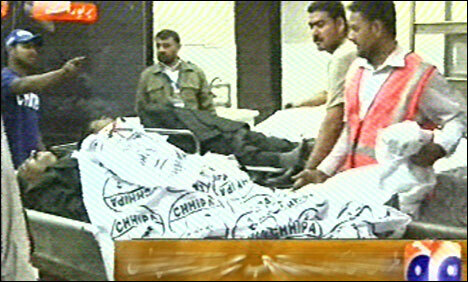 Three lawyers were killed when unidentified armed men opened fire on their car near then Aram Bagh area of Karachi. A fourth lawyers is in critical condition and is undergoing surgery at the Civil Hospital. The police have described the act as target killing and say the attackers were riding motorcycles and chased the lawyers from the city court. Lawyers have announced a nationwide strike in protest of the killings. According to the MLO of the civil hospital, all three of them were shot at point-blank range. Eyewitness accounts state that the police failed to act and only opened aerial firing after the attack had already taken place. The police were also late in cordoning off the crime scene. 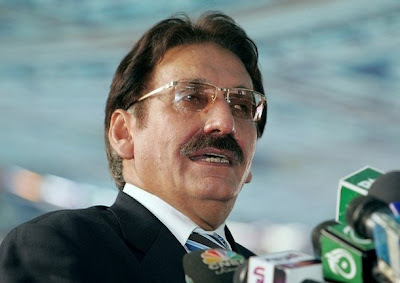 KARACHI: Chief Justice of Pakistan (CJP) Iftikhar Muhammad Chaudhry on Saturday said that the judiciary was struggling to buttress democratic and parliamentary norms and always worked within its limits. Addressing the oath taking ceremony of the entrants of the Karachi Bar Association (KBA), he said that the judiciary had closed the door on martial law by voiding November 3, 2007 order. “In any democratic setup the judiciary has to act as an independent institution exercising jurisdictions within its constitutional domain,” he said, adding that the legislature and executive are also independent and they are also bound to exercise their authorities. “Judiciary is the custodian of constitution and has to check constitutional deviation and arbitrary uses of power by other institutions,” he said. “In the present democratic setup, judiciary is trying to buttress democratic and parliamentary norms and it has never tried to assume the role of the executive or the legislature, rather it respects the integrity and independence of every other institution,” he said. The chief justice said, “Courts have always played their part within the parameters of constitutional domain. The responsibility of judiciary is not to play the role of an opposition to legislature or the executive. However, the judiciary has to exercise its power of judicial review in the cases of unauthorised, illegal or unconstitutional actions.” The chief justice said, “Corruption is hindering fair dispensation of justice in developed as well as underdeveloped countries,” adding that “no matter how much carefulness is poured in analysing the problems, complete and instant cure is very unlikely to be achieved”. He said that “unnecessary adjournments are the reason for delay in the disposal of cases while problems are carrying on in the judicial setup even after the introduction of procedural changes. He said that in civil litigation the parties had to wait for years to get their grievances addressed. Protracted litigation not only lowers the confidence of the parties in the judicial process but also overburdens them financially, he said. Earlier, the chief justice distributed certificates among new members of the Karachi Bar Association. He said that oath taking under the PCO had also been declared illegal and unconstitutional, adding that the courts had worked under the constitution and its constitutional limits.